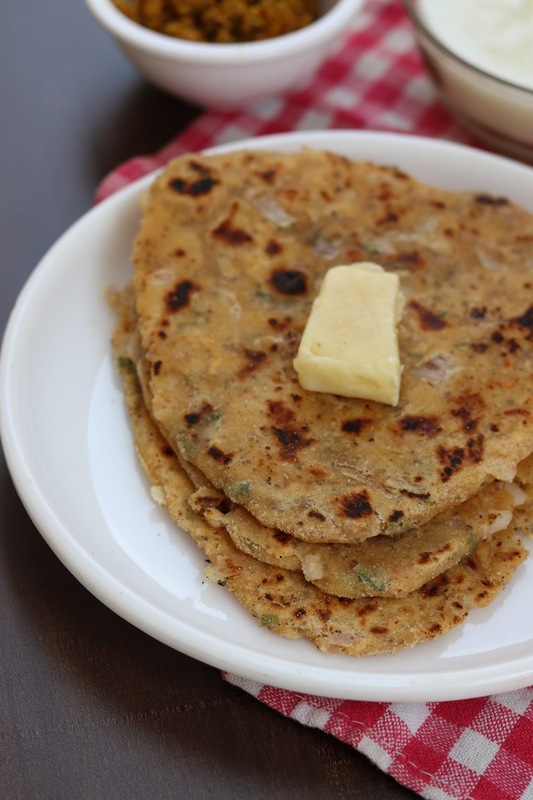 Semolina paratha or suji paratha is a crispy paratha recipe which is prepared with suji, onions and few spices. These are absolutely tasty, delicious and crispy paratha which can be packed for kids lunch or even for travelling. 1. Prepare a dough of all the ingredients. Add curd accordingly. Keep aside the dough for resting for 15 min. 2. Add 1 tsp oil and knead the dough 5-6 times to make it soft. 3. Roll the parantha in desired shape and cook suji paratha on medium flame. Apply little oil on both sides and cook till crisp. 4. 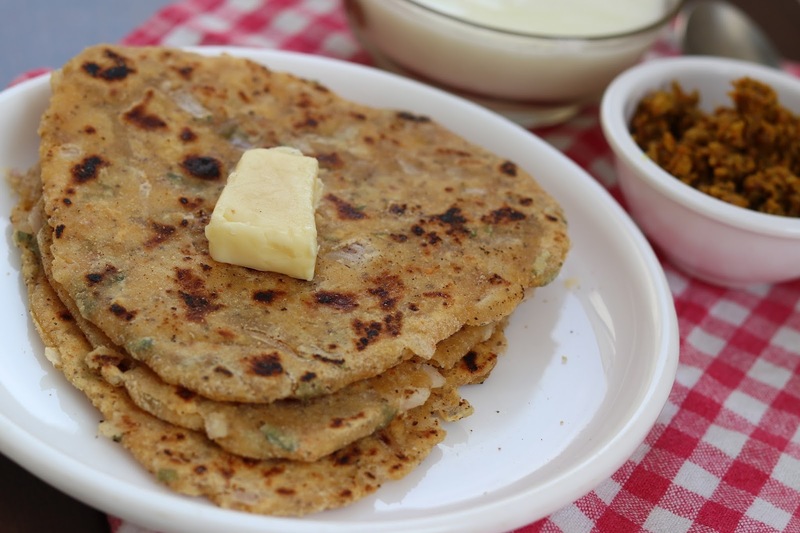 Serve hot paratha with curd and pickle.